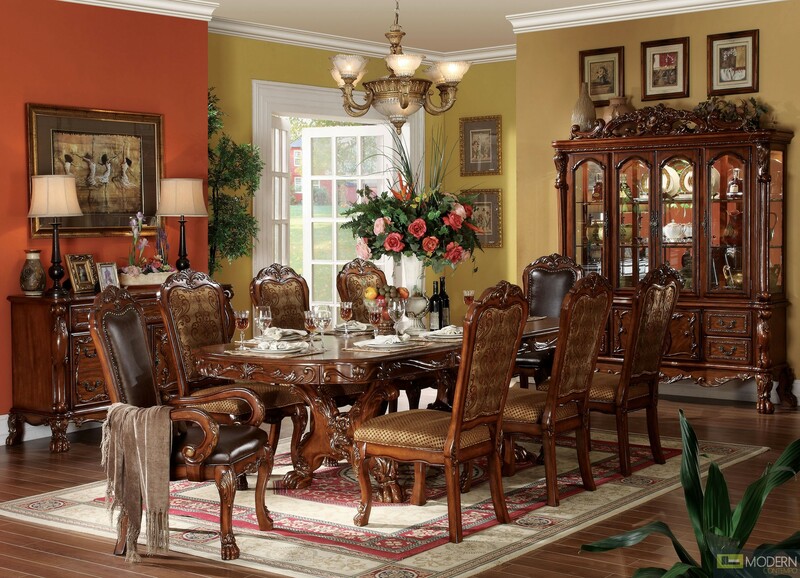 DRESDEN 12 PIECE FORMAL DINING ROOM COLLECTION. 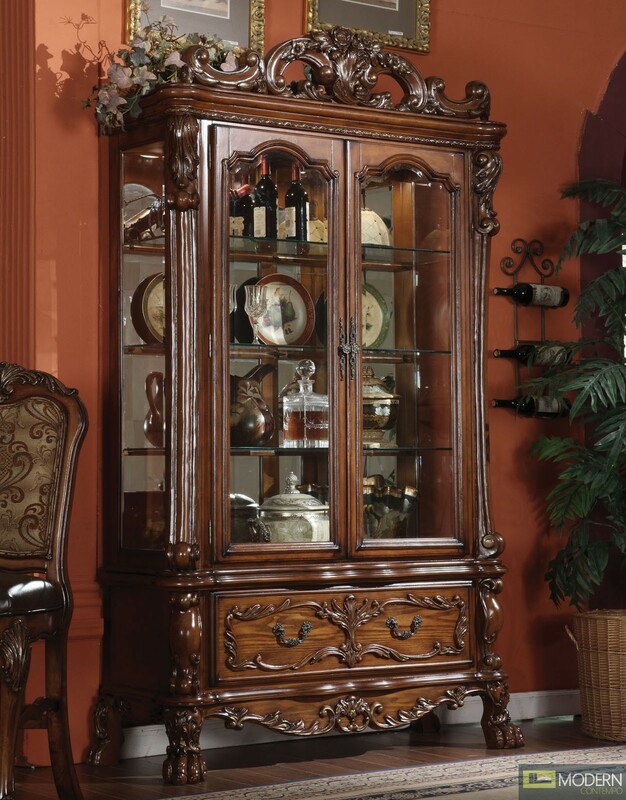 FEATURES DOUBLE PEDESTAL TABLE WITH 2 X 13" LEAVES, 4 OR 6 SIDE CHAIRS, AND 2 ARM CHAIRS. DOUBLE PEDESTAL FORMAL DINING TABLE WITH ELEGANT CLAW LEGS, RICH WOOD AND VENEERS, AND ELABORATE TRIM AROUND THE TABLE EDGE, SIDE CHAIRS WITH GOLD AND BROWN FABRIC CUSHIONED SEATS, FORMAL ARM CHAIRS WITH LEATHER BACK AND NAIL HEAD TRIM.